High blood pressure is a common condition in which the force of your blood against your artery walls is too high. Before we get to know more about the condition, let’s start first with the absolute basics about blood pressure itself. Blood pressure is the pressure exerted by your blood on the walls of your arteries, and is measured in millimetres of mercury, mmHg. It consists of two numbers, such as 130/80, “130 over 80”. The first is your systolic blood pressure, the highest pressure your blood attains as your heart beats to push the blood outwards. The second, diastolic blood pressure, is the lowest limit it reaches when your heart fills with blood between beats. Is high blood pressure the same as hypertension? Blood pressure helps to transport blood around your body, so you need blood pressure to stay alive ￼ ￼but having too high blood pressure isn’t desirable. High blood pressure, also known as hypertension, puts a strain on your heart and blood vessels and makes you more prone to heart attacks and strokes. High blood pressure is generally considered to be anything above 140/90 mmHg, when measured at the doctor’s office. If you measure it in the comfort of your own home, where you’re likely to be more relaxed, the limit is slightly lower at 135/85 mmHg. If your blood pressure is between 120/80 and 140/90 mmHg, you may be at risk of developing hypertension at some stage in the future unless you take action in agreement with your doctor to bring it under control. A blood pressure reading of over 180/120 mmHg is dangerously high. Doctors call this a hypertensive crisis, and it requires immediate treatment. One of the problems with high blood pressure is that it often has no symptoms: it’s a silent disease, not something you can feel when you wake up in the morning. 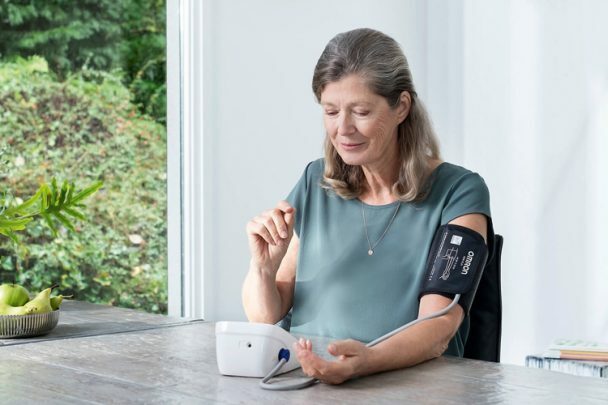 In fact, most people with this condition remain blissfully unaware of it: an estimated seven million people in the UK alone have undiagnosed high blood pressure. In most cases it’s identified only by testing – and yet this is a potentially dangerous condition. If you experience any of these symptoms on a regular basis, you should talk to your GP. Your blood pressure fluctuates all the time. 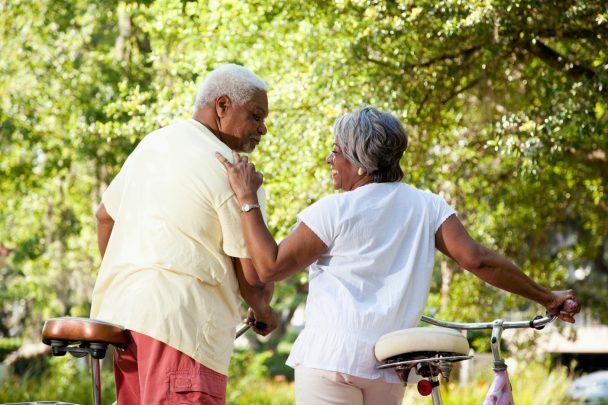 It may go up and down at different times of day, and as a result of factors such as your age, your overall fitness, stress, exercise and any medications you’re taking. One high reading on its own shouldn’t give too much cause for concern, but it’s a good trigger to start monitoring. Your blood pressure should be measured at different times, and always while you’ve been resting for at least five minutes. A diagnosis of hypertension usually requires at least three high readings and can only be made by your doctor. In about five percent of cases, high blood pressure may be the result of some other condition, such as kidney disease, complications of diabetes, hormone disorders, and sleep apnoea. It may also occur during pregnancy. In all these instances, it’s known as secondary hypertension. In the other 95 percent, however, high blood pressure has no obvious cause. In this case, it’s referred to as primary or essential hypertension, and is often associated with genetic factors, and with poor diet, lack of exercise, smoking, and/or obesity. There are three main ways to reduce high blood pressure: diet, exercise, and medication. Let’s begin with the first two. Here’s what you can do to lower your own blood pressure with diet and exercise. Losing weight, especially around your waist. Getting more exercise. That doesn’t necessarily mean spending excessive time in the gym every day: it could just involve pruning the garden hedge, walking the dog, or riding your bike a couple of miles. Eating better. Cut the salt, sugar, and saturated fat. Stock up on fruit and vegetables. Eat more oily fish, such as sardines and mackerel, which are rich in omega-3 fatty acids. Increase your calcium and potassium intake with foods like low-fat dairy products and nuts. Going easy on the booze. No need to cut it out completely – but maybe consider having a couple of alcohol-free days each week. Avoiding stressful situations. Try to recognise stressful situations and avoid them if possible. Measuring blood pressure regularly. Monitoring your own blood pressure is a great way to give yourself a psychological boost as you take exercise and control your diet. Many people find technology a big motivating factor, because it allows them to see long-term trends rather than living from day to day. Your doctor has a variety of options available for your optimal treatment. These will depend on your age, personal situation and medical history, the possible causes of your hypertension, and of course how high your blood pressure is. 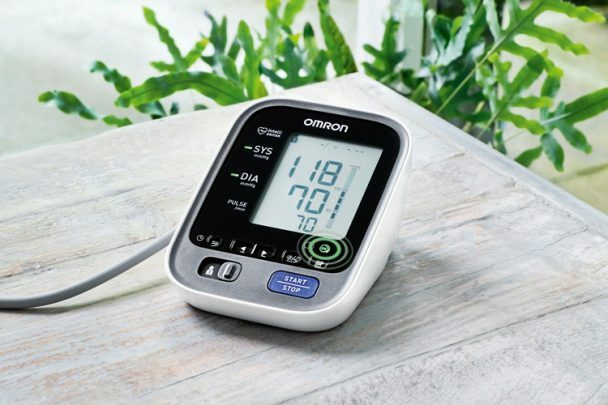 Monitoring your own blood pressure at home is a quick, easy, and inexpensive process. If you’ve been diagnosed with high blood pressure, it’s a valuable way of helping your doctor to assess whether your treatment is working. And if you’re healthy, it will help you to stay that way – though of course it’s no substitute for regular check-ups by a medical professional.